This study investigates E-banking and service delivery at Ecobank Nigeria in Benue State. A purposive sampling technique was employed to identify specific Users and Non-users of E-banking facilities. The respondents in each group were randomly selected to avoid selection bias. Questionnaire and Oral interviews were used to collect data for this study. A Sample of 400 Users of E-banking and 395 Non-user of e-banking products of Ecobank Nigeria was selected. Descriptive tools such as tables, percentages, charts, ratios, and averages were used. Statistical analysis, specifically the Kolmogorov-Smirnov test, Shapiro-Wilk, and Satter Thwaite-Welch t-tests were used. The results showed that there is a significant difference between the time spent on the queue by Users and Non-users of E-banking at Ecobank Nigeria in Benue State in favor of the Users of E-banking (3.287 minutes for Users and 33.07 minutes for Non-users). The study also revealed that there is a significant difference in the financial cost for using E-banking (N80.51) and banking hall services (N274.81) also in favor of the Users of E-banking. The major problem faced in the use of E-banking as indicated by the users is network failure while the Non-users spend longer time (33.07 minutes) on queue to obtain financial services. 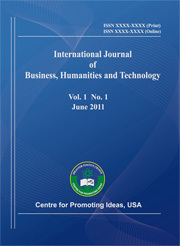 The study, therefore, recommended that banks should invest more on Information and Communication Technology (ICT); in higher version of radio-wave like fiber and subscribe to Internet Service Provider (ISP) with higher bandwidth to enable them to render the expected service to the end-users instead of relying heavily on other internet network providers.